This weekend, we saw a horrifying scene in Charlottesville, Virginia. 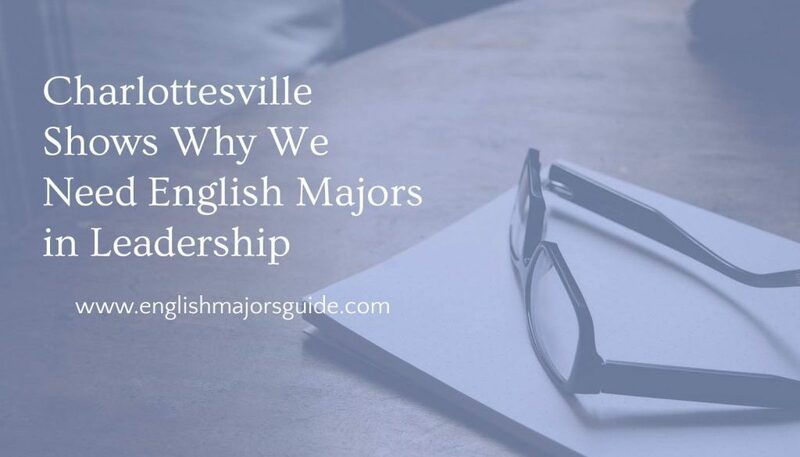 If we want to prevent future tragedies like Charlottesville, we need empathetic leaders like English majors. The horror didn’t stem from many sides – it came from one side. Just to be clear, because some boneheads like to do linguistic acrobatics, the Nazis and white supremacists who organized this event contributed to a murder. Sound familiar? The rhetoric is identical to what we heard during the election and at the rally, yet I’ve seen some people pretend “it’s not at all the same”. (All this said, I’m not inherently against conservative politics. Nor am I some crazy socialist liberal. I’m actually a centrist who believes our two party system means we should be willing to come together. The entire point is to find common ground where everyone gives and takes a little for the greater good. It’s not to dig in your heels and refuse to work together. But I definitely am against the anti-democratic ideas we’ve seen from this administration. I clearly oppose the racist/sexist dog-whistle rhetoric that won him the election. I’m against white supremacy and believe our diversity makes us stronger. 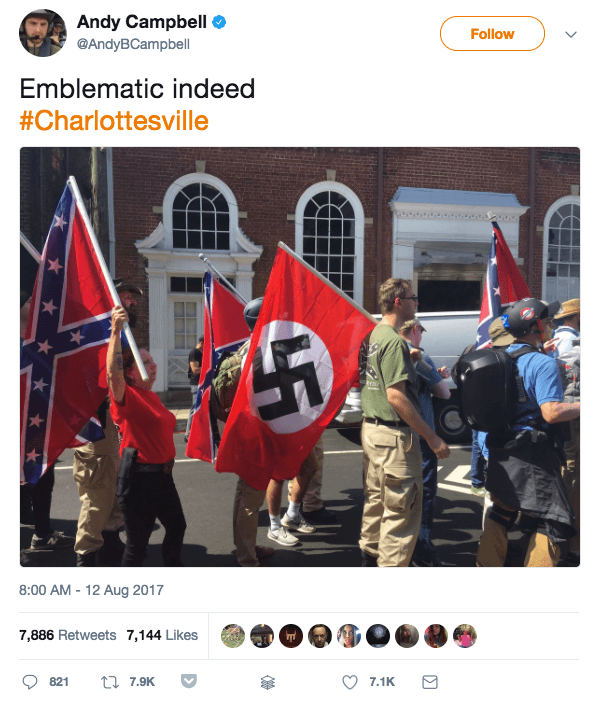 The events and murder in Charlottesville this weekend were horrible. But they might have been prevented if tech companies had more courageous leaders – like English majors. The tech industry is directly contributing to these kinds of hateful demonstrations. By being too afraid to do the right thing, these major companies provided a breeding ground for these people. They gave them a place to find each other. Then they helped them strengthen their awful communities. This impacts the rest of us in a big way. Twenty years ago, internet users had to actively search for online hate groups to join. 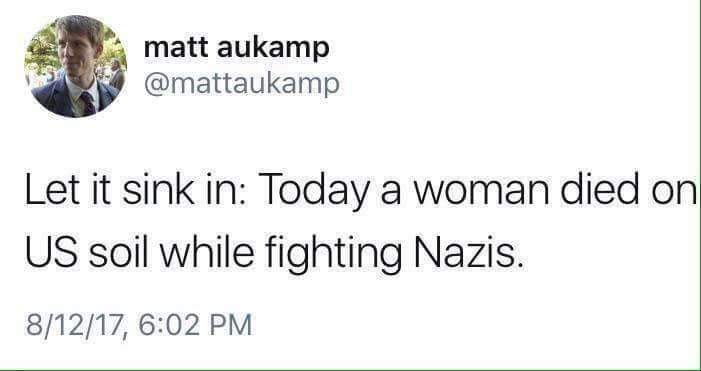 This meant members were people who were probably already racist or sexist. Now, those groups get promoted via the Newsfeed to regular people. This exposes many individuals who could be easily swayed to these communities. Worse, it legitimizes these communities. These groups no longer look like cheap, ugly forums. They look like regular Facebook groups or Twitter accounts. This removes yet another social norm keeping people away from these groups. These companies could be more active in removing hate speech and racism from their platforms. But they aren’t. In fact, because it helps their stock value, they keep as many users as possible. Trump himself said Facebook and Twitter helped him win the election. Here’s Techcrunch reviewing Facebook’s unwillingness to take responsibility for fake news (actual fake news, not smear tactics against legitimate journalism). And here’s Twitter’s co-founder apologizing for getting Trump elected. Despite Twitter’s long-standing bullying, terrorism, and racism problems, the platform has done surprisingly little to be better. Why? Note that none of these fears are “fear of hurting people,” or, “fear of spreading hate.” They’re all based in money. And finally, before the rally last weekend, AirBnB set a precedent that (hopefully) opened the path. The company proactively identified and cancelled the accounts of any white supremacists using its platform to find a place to stay during the rally. 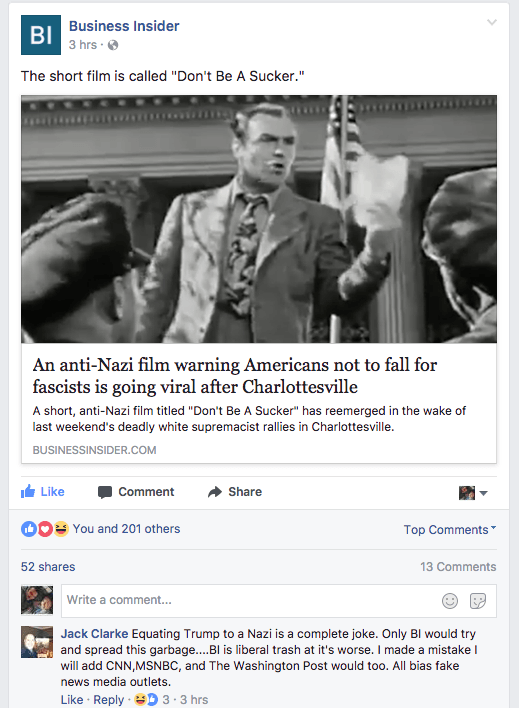 Of course, lots of Nazis are mad at AirBnB. Some boneheads are planning on filing a lawsuit (that won’t succeed, obvs.). But AirBnB is doing fine, so far. It’s enforcement of corporate ethics has earned it praise. It’s also inspired other companies to finally follow suit. Just today, GoDaddy announced it was finally banning racist site Daily Stormer. This isn’t because GoDaddy is an ethical company (it’s definitely not). It’s because AirBnB made it okay to finally stand up to these people. Do you see the pattern? These companies want to play it safe because they’re afraid to go first. They don’t know if they’ll lose too many users (and too much money) by taking a stand against these things. But when someone else is brave enough to go first, we all benefit. Hopefully Facebook, Twitter, Google, and other big sites will follow suit. Imagine if these racist groups were swept back out of mainstream discourse, back into the sewers of the internet. Hosting is expensive. And it’s more complicated than ever. By refusing to host racist, sexist, and white supremacist communities tech companies can make a major change in the world. So why aren’t they? Because there aren’t enough people in these companies who want it. We need more people – like you – making these management decisions instead. 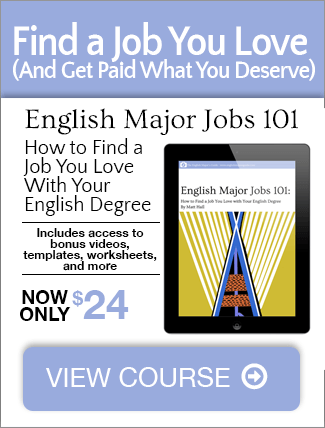 Read more about why we need more English majors to take their professional lives seriously.